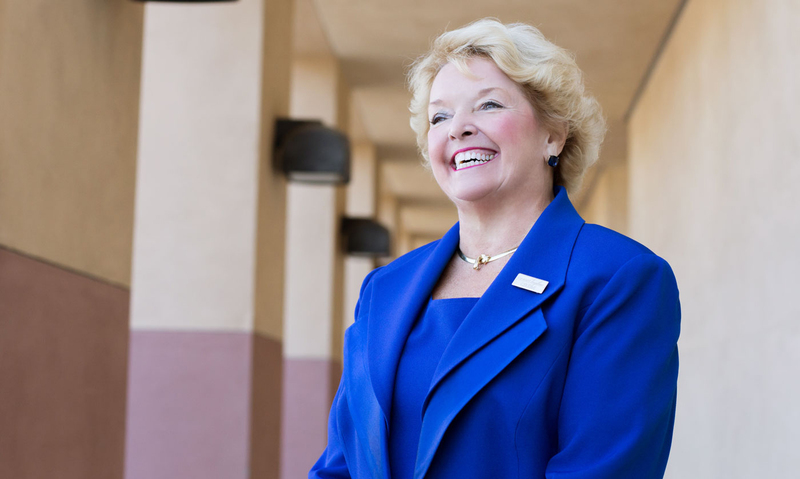 SAN MARCOS — The California State University Board of Trustees’ presidential search committee will meet today for the first time to discuss potential successors to retiring Cal State San Marcos President Karen Haynes. The Committee for the Selection of the President will meet in an open forum, then hold a closed meeting to further discuss possible selections. CSU Trustee Jean Picker Firstenberg will serve as the committee chair. CSU trustees Debra Farar, Juan Garcia, Jack McGrory, Adam Day and CSU Chancellor Timothy White will also sit on the committee. Throughout the selection process, the selection committee will consult with the Advisory Committee for the Selection of the President. The advisory committee is comprised of CSU faculty, staff and alumni representatives, a campus advisory board member, a vice president or academic dean from the relevant campus and the president of another CSU campus, in this case Cal State Stanislaus President Ellen Junn. Haynes announced her intent to retire, effective June 30, 2019, in September. Haynes is the longest-tenured president in CSUSM history, having steered the university since 2004. During that time, the campus population has expanded from 7,000 in 2004 to 17,000, the alumni base has expanded from 13,000 to 45,000 and the campus has added 15 new buildings and more than 100 new academic programs. The two committees will meet several more times in the coming months to consider and interview candidates. Today’s meeting is scheduled to begin at 1 p.m. at CSUSM’s Student Union Ballroom at 595 Campus View Drive.